Just kidding! So, what happened when regional tourism professionals from across Australia got together for two days at the Australian Regional Tourism Convention this October in the beatiful coastal Tweed Valley of northern NSW? Not yet, but it was powerful to address these in sessions with a diverse range of regional tourism professionals. ART’s new initiative is the free The Tourism Hub, a central platform to access tourism research, news and opportunities. Its social community will facilitate connectivity in regional destinations - you can connect with like-minded tourism professionals to share knowledge and advice. We can use the Hub to collaborate on developing best practice solutions to common challenges. Register for the free hub where you will find all of the presentations from the convention in the 2018 Convention group. Keep learning – how can we do things better?? ...and by 2020 Australians will take 2 million cruise trips each year – that’s some competition! Tilma Group’s director Linda Tillman presented on reinvigorating regional events on behalf of her new business rEVENTS Academy and on agritourism for ART. Regional and rural events throughout Australia are facing a series of complex challenges that are impacting on their sustainability and success. Many events in regional and rural Australia have hit the maturity stage in their lifecycle and with challenges around volunteer capacity and access to funds, they are struggling to find the time and energy to consider reinvigoration. They are barely ‘turning the cogs’ each year. Before regional events can reinvigorate, they need to invest in getting their strategy, systems and structure in place. Without this, reinvigoration will be wasted. Regional events need to look closely at their business model and consider how this can be reinvigorated to support future success. The old model of 100% volunteer-run events is proving ineffective. It’s time for more regional events to look at government, community and industry collaborations. Having a clear pathway to growth will provide regional events with clarity and direction. Success stories from Southern Highlands’ Tulip Time, Parkes Elvis Festival and Grampians Grape Escape highlighted how new business models can inject new energy, increased sustainability and overall success. For two years, Linda has been working with other members of the ART board on an agritourism project. ART’s newly released Boosting Regional Australia through Agritourism discussion paper highlights that there is a massive opportunity for agritourism development throughout regional and rural Australia - and the time is right now for this to launch. The first thing we did in this process was to define what agritourism is. We decided that we would define agritourism quite broadly, but also narrow it down to anything that happens on farm or rural land. There was great discussion around the challenges and opportunities and positive insights and progress on moving forward. Watch this space as Linda continues to drive this project forward over the next 12 months as she has been elected to the board of ART for another year. Agritourism has to happen to meet the need of so many future visitors. It is expensive to develop tourism product in the regions that is international market-ready so the way to do that is to integrate existing product and tourism product i.e. agritourism = easy and affordable product development. From the supply side it is a natural conclusion, but it also is from demand side because visitors want authentic experiences. If you get momentum going, everyone in their silos will make it happen. What can we do to help get everyone on board? The NSW Small Business Commission is doing fantastic work in NSW on streamlining the regulatory process of starting an agritourism business, to come up with one point of contact to fill out one form with all requirements on it to nurture farmers through the agritourism development process. Currently policies contradict each other and lead to insurance risks. The Small Business Commission did a similar project like this for new cafes – the process used to involve getting 78 licenses, 36 permits, etc, etc (!!). Once the SBC have achieved this streamlining in NSW, they will share their framework with the other states and territories. A colleague we regularly collaborate with, Jayne Jennings of JJ Strategic Consulting, presented on “A National Perspective of Visitor Information Servicing”, a report soon to be published. 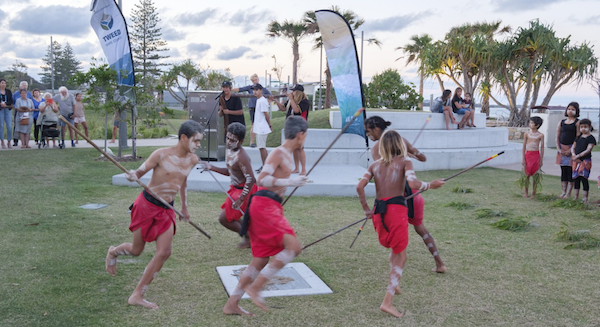 The report was commissioned by the national accredited visitor information centre (VIC) network, with Tourism & Events Queensland leading its development on behalf of the network and JJ Strategic Consulting developing the report. The report distils national and international research and conversations with VICs and State Tourism Organisations on the performance and future of VICs. Seventeen VICs shared their stories to provide insights into ways VICs are delivering value in the visitor economy. Engage with stakeholders with famils - have a famil register. Engage with operators every month. An interesting case study was the Albany WA VIC bought the rights to the Field of Light art installation that you know from Uluru. They had it sold in packages by travel agents and made $1 million in profit! Albany also uses tech like virtual reality and projecting images onto clear windows at night to draw in visitors. A fun session was on the Art of Storytelling by John Pastorelli, or really, how to think creatively – what a brilliant skill to practice by yourself and with others! Not every idea is a winner – park some things on the edge of the sandpit – especially if it blocks the flow. We love things that we know – when we nudge that line in the sand, we feel uncomfortable – but in the stretch zone, it can be playful. If you are curious about how to think more creatively, google exercises in practicing creative thinking similar to those John used like these or these. Karl spoke on that truism of tourism: the best marketing is word of mouth – and you get it by blowing people’s minds. Product is now superior to Promotion, Price, Place in marketing. Or as Karl put it, blow their minds and they will blow your trumpet. Buying people’s attention through paid advertising is essentially a sign of product failure. Destination marketers and managers need to focus on offering awesome experiences. Karl suggests a focused approach – focus on one product at a time and how it will blow people’s minds. Great examples included the House of Eternal Return which drew 400,000 visitors in it’s first year. It’s interactive, iconic, highly differentiated, impactful and humorous. It provides raw material for people to talk about the destination. If you have an iconic product – how is it evolving and meeting the market? Use your DNA and your global significance. What are problems in your region that need government attention (if you take your tourism hat off)? For example, resilience of agriculture to climate change and drought; aboriginal disadvantage; obesity. How can these be transformed into projects that will also attract tourism? There are consultants licensed by Treasury for ILM. Newscorp’s Ormi Godijn presented on Newscorp’s data. With direct measurement techniques (rather than the recall used by Tourism Research Australia) Newscorp typically doubles estimates of visitor expenditure. Newscorp can show which suburbs spend money on which activities eg how much residents of different suburbs spend on wine cellar sales. You can upload your email database to Newscorp and see what media (newspapers, magazines) your followers read and interact with. People don’t mind engaging with branded content so long as it’s good. Brands can increase ROI or brand lift by up to 5x with an expert team that produces high quality content (at 5-10c a word it’s worth it) - or better, create video. Promoting experiences that match the four key motivators for travel: escape, wow experiences, bonding, and developing oneself / appreciating life. Rather than interrupting what people are interested in, be what people are interested in. Linda’s biggest inspiration and take home (apart from reconnecting with the amazing network of regional tourism professionals!) was the keynote by Nigel Collins ‘Game of Inches’. It was so inspiring to hear a non-typical tourism presentation that still had some much relevance and made us think differently about how we look at things and approach things. For Linda this was also personally motivating, allowing her to reflect on the year and consider the years ahead – no more zombie ideas! Linda was fortunate enough to win one of Nigel’s books, so she can gain even more inspiration. Kushla’s favourite takehome was a personal one – the tips from Tim Jack Adams (GreenX7) on how to reconnect with yourself, others and nature. His innovative app helps you figure out which of 7 critical life rechargers are low for you (such as sleep, movement, …) and connects you with activities in your region/where you are on holiday that can help you recharge these (such as kayaking or playing a board game with a friend). What was your favourite session or convention highlight? Unfortunately we couldn’t be in every concurrent session. We would love to hear what you learned in any sessions we missed!